These town heritage books can take you back several generations in your pedigree if we have a book for your town of interest. But you’ll want to come to the Library to see them! 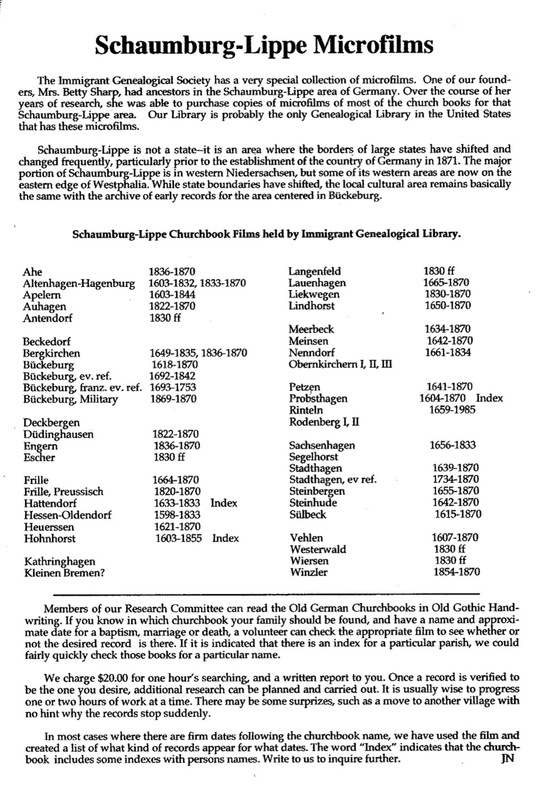 While you’re there, and if you have ancestry from Schaumburg-Lippe, you’ll want to know that we have churchbook microfilms for the area and a reader with which to view them. You might also want to explore the other films we have…. And be aware that we usually have at the library paper copies of conference brochures for the major upcoming genealogy conferences for your use — NGS, FGS, and now the conferences of the International German Genealogy Partnership (IGGP). A description of the 2017 IGGP conference can be found here.